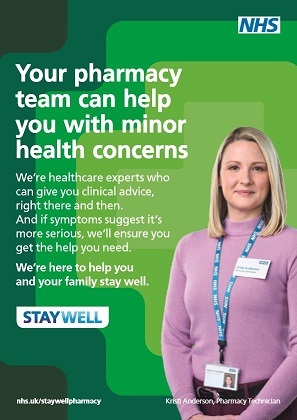 PAGB welcomes the new NHS Stay Well Pharmacy campaign which launched on 12 February. The campaign encourages people, in particular the five million parents of children under five, to use their local pharmacist first for advice about minor health concerns. PAGB is a partner in the Stay Well Pharmacy campaign and PAGB member companies will be supporting the campaign by including the campaign logo in advertising, marketing and instore materials.